And just how long was that? 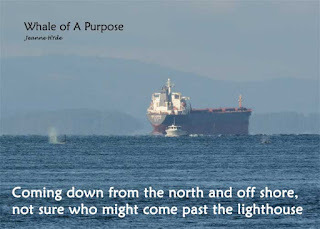 From point to point - Admiralty Inlet to Discovery - 10 hours, and from Discovery to Sooke, 10 hours. That is twice the length of time it normally would take them, documented many many times over the last several years. ...from calls I heard that evening, I went back to prior recordings when only one pod was present and then recordings when there were mixed pods, etc. to compare and verify...it has taken a lot of time and has been very enlightening too. I'm not wanting to know every single call they make but am more interested in knowing the calls that would clue me in on who was present...there's more to explore, but here are some... There is supposed to be a recording here...it might be slow to show up. ...I can see how Sonic J-52 might get mistaken (except for his open saddle patches) for Scarlet J-50. 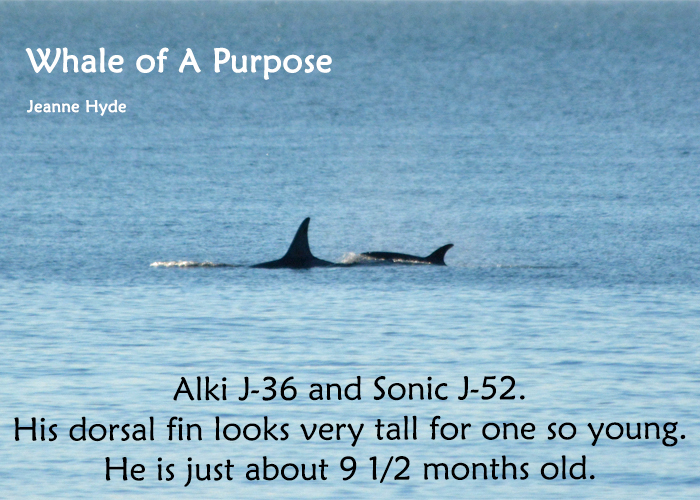 Scarlet has rake marks on her body and her dorsal fin, from birth, and Sonic has mainly scratches on his body...but then he acquired rake marks on the front edge of his dorsal fin...I'm guessing his will fade and Scarlet's might not ever fade, but only time will tell with that. ...L-122 belongs to the L47 family and L-123 belongs to the L-55 family...they used to travel together just about all the time...last year there were a couple times in the late part of the year when the L55s were not present when the L47s, L26s, and L43s were, but we might now know why...a baby was on the way! - L-123. ...Bottom line: everyone just hopes they all survive the winter. -There are never the right words to say. The passing of Eva Saulitis, a whale researcher of the Chugach Transients, of Prince William Sound, Alaska, author of many books, most recent Into Great Silence. From reading her account of 25 years, I felt like I knew Eva, yet met her only briefly in Friday Harbor in the fall of 2014. There are some with whom you just connect, no understanding as to why, but you just do. Through her writings and her work I connected. I would like to have known her. I am sad that I didn't. 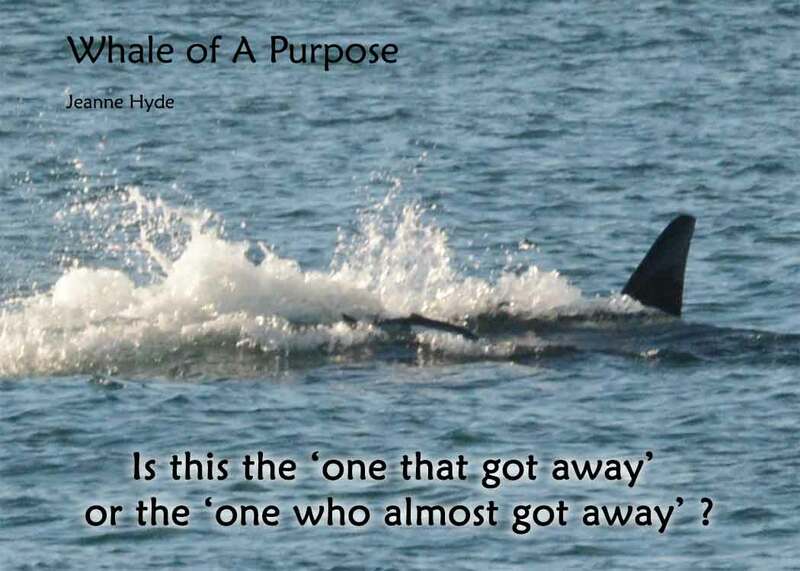 I encourage you to watch the video in silence (turn off the volume)...the whales don't travel to our human music...they travel to the beat of their world not ours. Enjoy that video in silence...your eyes will be totally focused to take it all in without the distraction of your ears having to work too. Give it a try, try it both ways, see/hear what works for you. 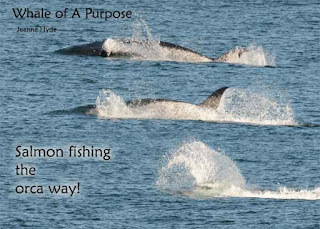 ...they were here on January 5th, in the dark...on January 16th a friend called to let me know he was hearing whales passing his place on the east side of San Juan Island...they were going down San Juan Channel...of course it was dark!...the next thing I know, two days later, J Pod is coming back up Puget Sound! I found one that sounds like a kitten call but it actually is an L Pod call! It is crazily confusing and quite the challenge! 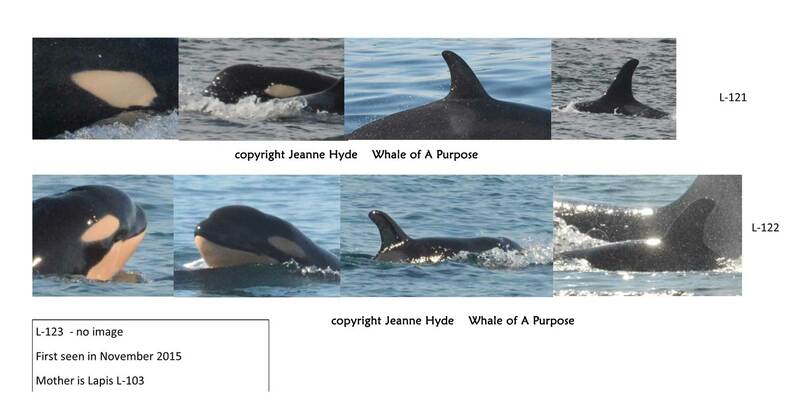 ...most of all, yes, J pod was present that night over the Orca Sound hydrophones...but which way did they go? well no doubt the whales may be listening to the game via 'satellite' ! 1-5-16 'Game On' Say the Whales to the Humans! ...who could they be? Residents or Transients? Rs and Ts have been seen in their own large groups in the past. -verification call heard over Lime Kiln and Orca Sound at the same time with about a 1to2 second delay. -30 minutes later another, same situation - both hydrophones with the delay, one call. - those calls revealed it is Residents. Hearing an L pod signature call might cause one to think it is L Pod. However, Onyx L-87, travels with J Pod and not L Pod. 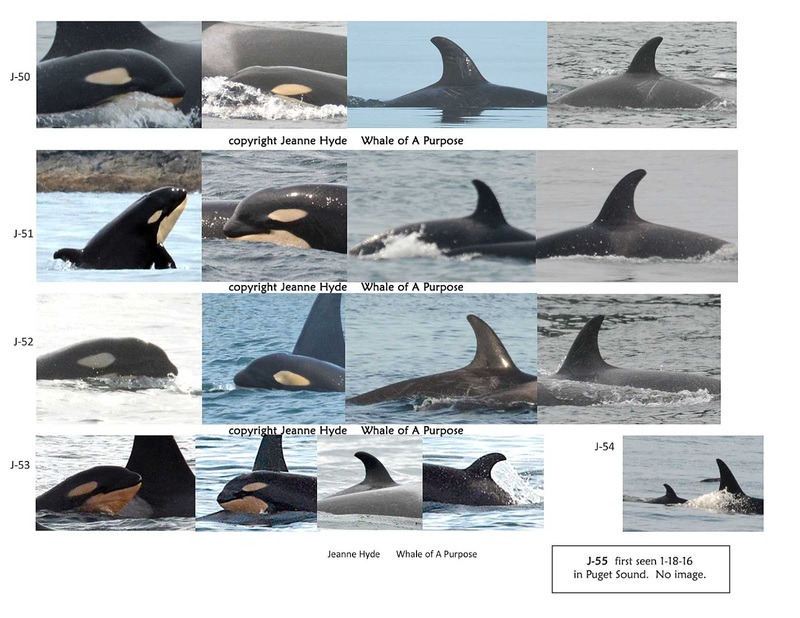 L Pod has 35 whales in their pod, made up of several family groups. They often travel as three groups. The L12s, L54s (now with L-84 and L-88), and the 4 family groups - L26s, L4s, L43, L47s. 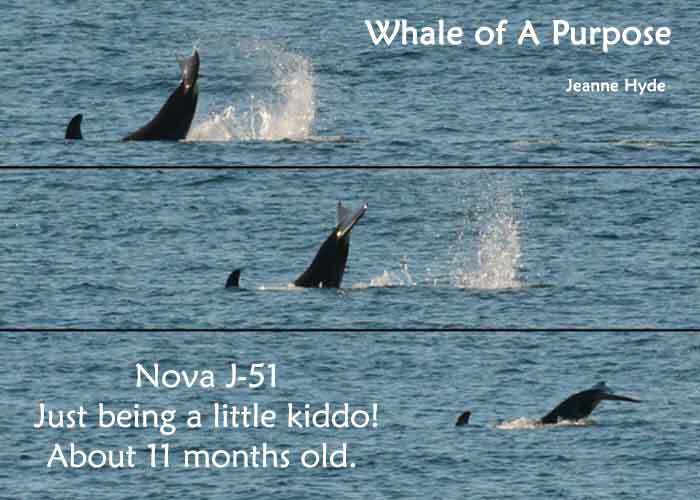 You have 34 whales if you add up J Pod and friends who were here the other day - 29 Js + 1 L (Onyx L-87 who travels with Js) + the K14 family of 4 who were with them the other day. 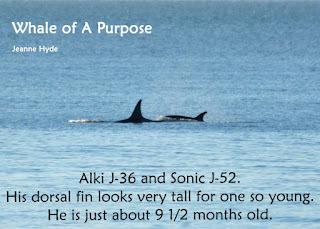 And the rest of K Pod (16) had been in the area several days ago. They could be there too. But then there was something else! A lot of J and K pod calls and some really funny sounding calls too. 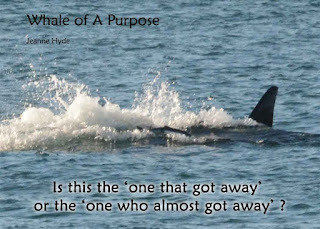 It's not about who wins or loses 'the game', but about how you allow the whales to draw you into their world. To listen, to watch, and yet to never to fully understand them or why you are fascinated by them. It's their gift to you. In return, let us give them the gift of healthy oceans and abundant food. ...when I first heard calls it was over the Lime Kiln hydrophones and then I turned up the speaker on the Orca Sound hydrophones and they were quite loud! 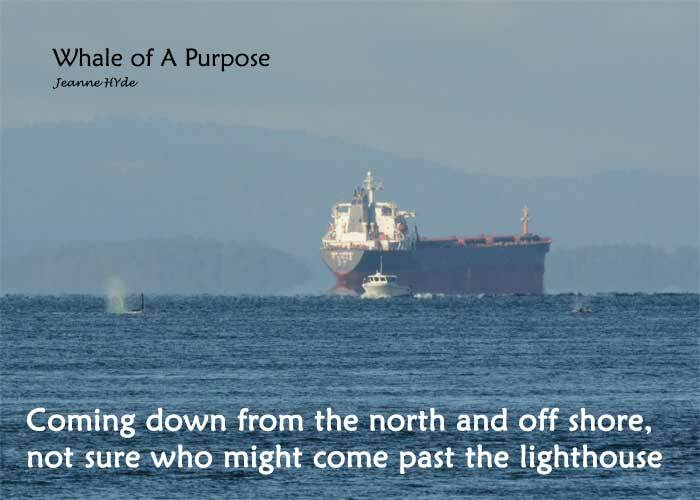 ...it took a while to locate where the whales were in Haro Strait...knew they were coming down, I knew J Pod whales at least, but where were they? ...then ten minutes later another mother and calf came along...who is this? 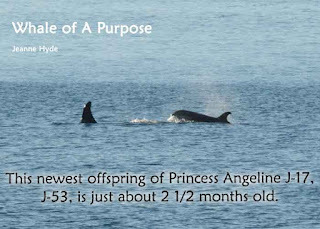 ...it's Princess Angeline J-17 and her newest, J-53! ...though the whales have been in split groupings a good portion of the time since 2010 - Group A and Group B (see the side bar on the right for who is in which group) - today there were some members of both Group A and Group B, though I only saw 3 members of Group B - that would be Princess Angeline, Moby, and J-53...and those are only 3 members of her (J-17's) family that now consists of 8 whales! ...and my 'apologies' to the K14s...oh, how quickly in my mind I had you back with the rest of K Pod and not traveling with Granny's Group (Group A) - oops! 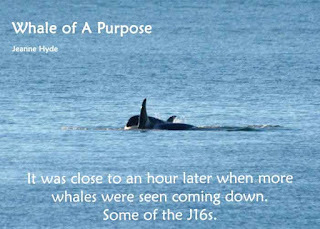 When J Pod came up the west side on December 16, it was only J Pod, no K Pod whales were present. They have been traveling with Granny's Group pretty much of the time since 2013...but it seemed that in the winter they had gone back to being with K Pod. We shall see what they do next. 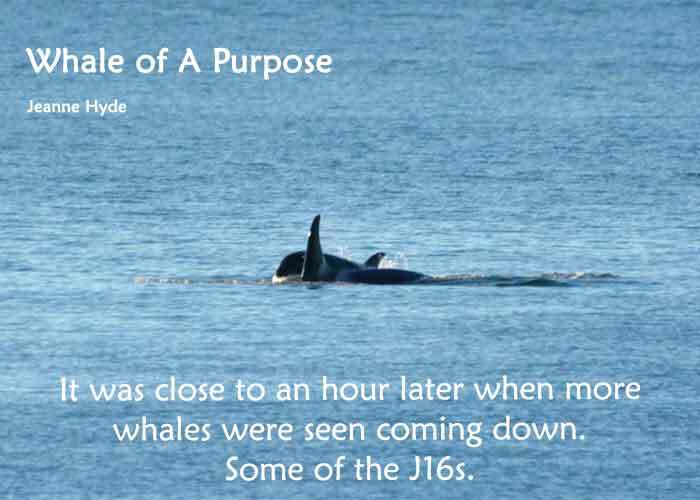 It's not uncommon to have J Pod come through here in the winter...it's more uncommon for them to do that in the middle of the day, on a nice sunny day, with pretty calm seas, even if it was cold! 8:29 pm on December 31, 2015 K Pod calls start to faintly come over the Port Townsend hydrophones...the calls didn't last very long - at first - a ferry came through and then more faint calls until about 9:25 pm. That was about the best way I could spend New Year's Eve! K Pod most likely headed back out the Strait of Juan de Fuca. 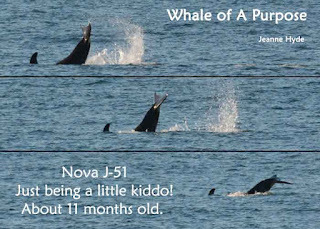 Perhaps the whales, for the time being, have ended this succession of births. 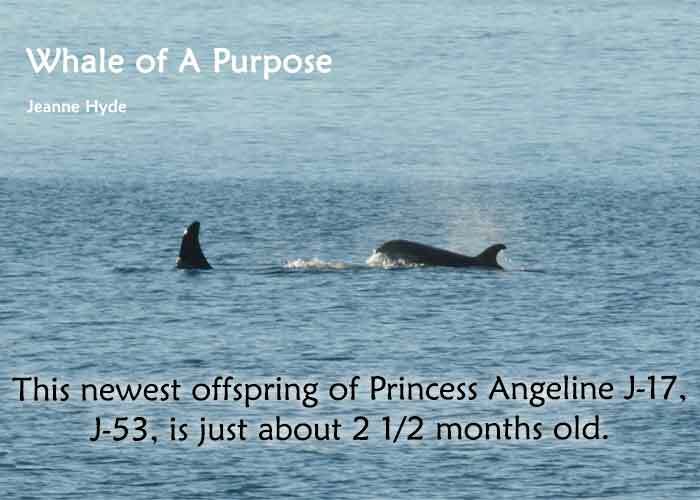 Perhaps the whales are back in their 'routine', now that the babies are born. 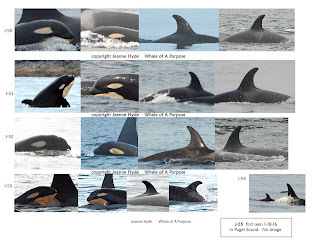 -When looking back at all the things that occurred with the whales during 2015, what stands out are the unusual groupings, unusual travel locations, actually just about everything. What was most unusual was the birth of 8 babies. It all makes sense now. Last year at this time there were what I called 'fish sounds' or 'burp sounds' that got my attention. In years past I had noticed a relationship to those sounds and to when the whales would show up, so last year I got diligent in recording what and when. There was a definite relationship between those sounds and then the appearance of the whales. It wasn't about fish that the whales were eating but instead it was about these fish sounds (burps) that occurred before the whales showed up, sometimes by several days and then ended when the whales arrived. The end of March got very busy. The fish sounds diminished and with three new babies the variables changed. 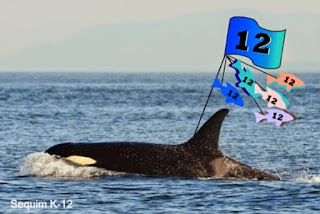 Since J Pod, especially, has been gone for many days now - last seen on 12/22 - it's a good time to start paying attention to see what occurs this winter: basically it's what sounds increase in frequency in the hours or days before the whales show up? So far, for at least the past week there have been no fish sounds over the hydrophones at all. 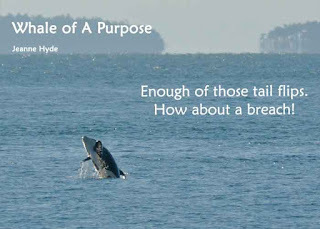 The Southern Resident Killer Whales are endangered because they don't have enough food to eat - #1 basic need - food. Basic need from the humans: make sure you do everything you can to see that these whales have a chance at survival into the future. Check out their Facebook pages - lots of good information there as well.